Dimensions: 3" x 1.25" x 2.75", tape blade width is 0.75"
All three men love use ing the eTape 16. I got this as a gift for my son-in-law. He really likes it. 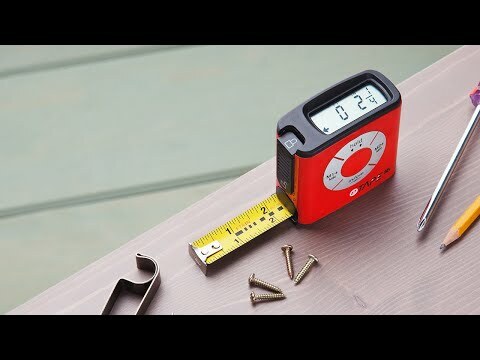 You can store measurements in the memory to work with later. 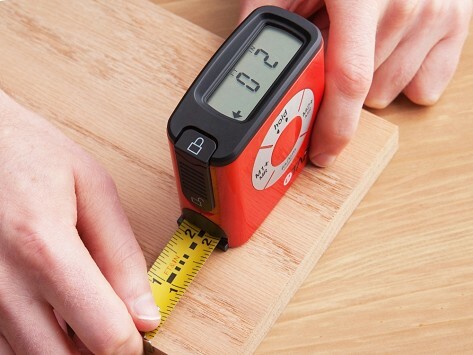 This digital measuring tape simplifies projects with less lunging for paper and pencil and less math to mess up.